This is a quote from Steve McKinney from an article he wrote in the 1975 spring edition of SKI Magazine, describing how he maintained composure while hitting speeds well above 100 miles per hour during his world-record run the previous year in Cervinia, Italy. McKinney had traveled to Cervinia to participate in the famous “Chilometro Lanciato,” or the Flying Kilometer—the signature event in the burgeoning sport of speed skiing. 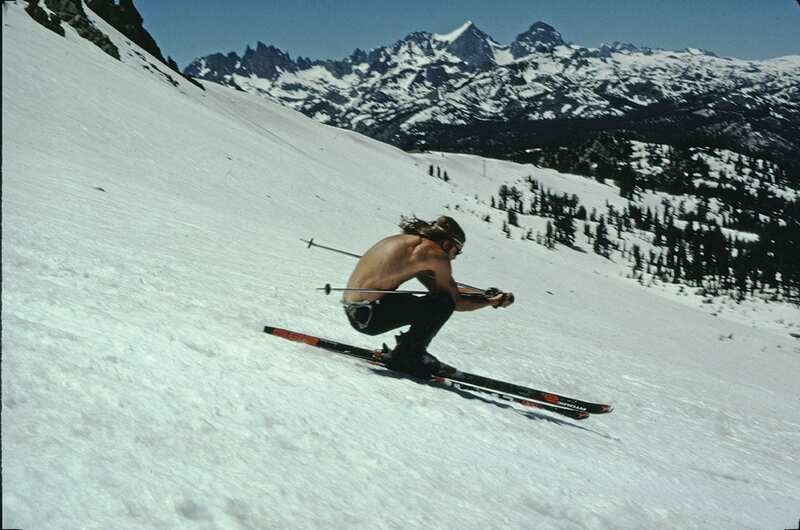 That’s when McKinney—a 6-foot-3-inch daredevil skier and adventurer out of Squaw Valley, with long blond locks, a million-dollar smile and a rock-star persona—entered the annals of speed skiing by becoming the first human to break the 115-mile-per-hour barrier. It was the first of many indelible contributions McKinney bestowed to the sport of speed skiing, and to adventure sports in general, before his untimely and unfortunate death in 1990. Despite McKinney’s numerous contributions to the sport, he was not inducted into the U.S. Ski and Snowboard Hall of Fame until September 2017. Dorworth, a pioneer in the sport of speed skiing who was himself inducted into the Hall of Fame in 2012, was among those who campaigned for McKinney. Dorworth says the only reason it took so long for the sentinels of skiing lore to recognize McKinney’s prodigious contributions to the sport is due to his nonconformist, iconoclast approach to the athletic discipline of his choice, and also life in general. “For Stevie, who was all about seeking adventure with an open mind, I think he butted heads with those who were more bureaucratic or close-minded in their thinking,” says McKinney’s half-sister, Tamara McKinney, a Squaw Valley–based realtor and former Olympic ski racer. So Steve McKinney forged his own way. 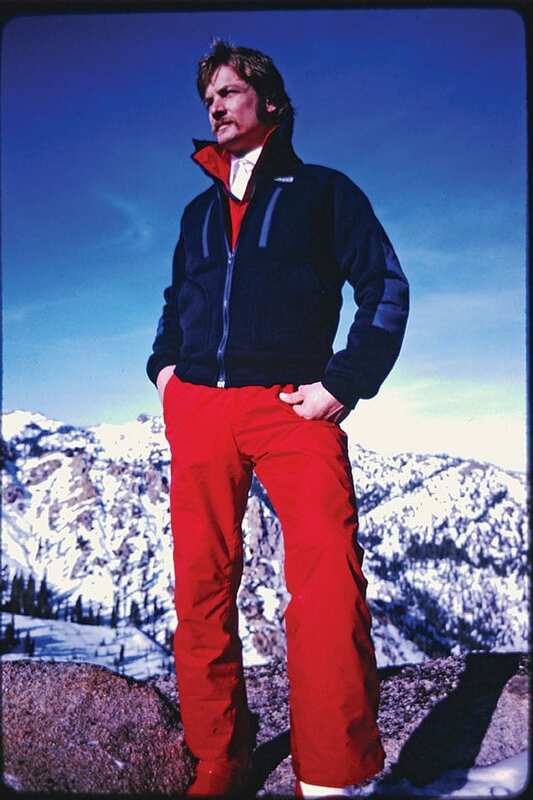 He became one of the best speed skiers of his generation, climbed big-wall routes in Yosemite, executed numerous backcountry ski tours in the Lake Tahoe Basin, skied an epic descent off Denali in Alaska with Jim Bridwell and became the first person to fly a hang-glider off Mount Everest. But the accomplishments are a sliver of a true portrait of the man. According to his family and friends, McKinney was far more than what he did. His legend is more about who he was. McKinney was born in Baltimore in 1953. His parents’ marriage was rife with discord. So much so that his mother, Frances Warfield, sought a divorce from Steve’s father, Larry Naylor. It was an unusual step for a woman raising a family on the East Coast amid the conservative values of 1950s America. McKinney’s mother was a woman who lived in the wrong generation. America in the 1950s had narrow gender roles for women, meaning that Warfield, who grew up skiing and riding steeplechase horses, struggled with the type of June Cleaver domesticity that was demanded of suburban women at the time. 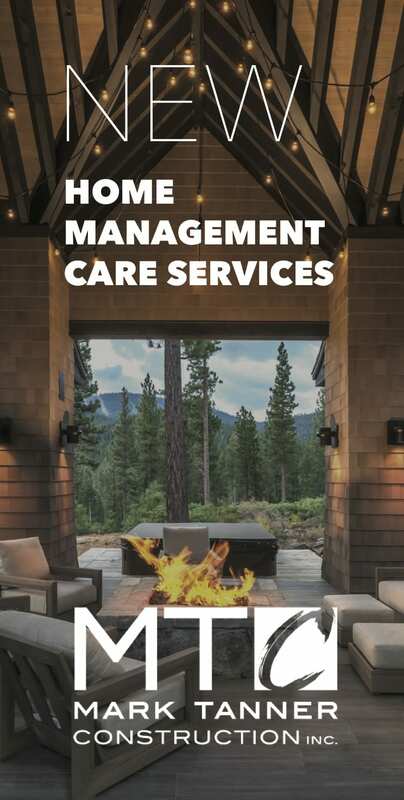 Nevertheless, determined to get free, Warfield lit out for Reno, Nevada, where women could obtain a divorce after establishing 60 days residency. 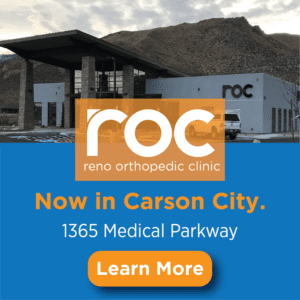 After her divorce, she bought a 20-acre farm in Pleasant Valley, an unincorporated area between Reno and Carson City. 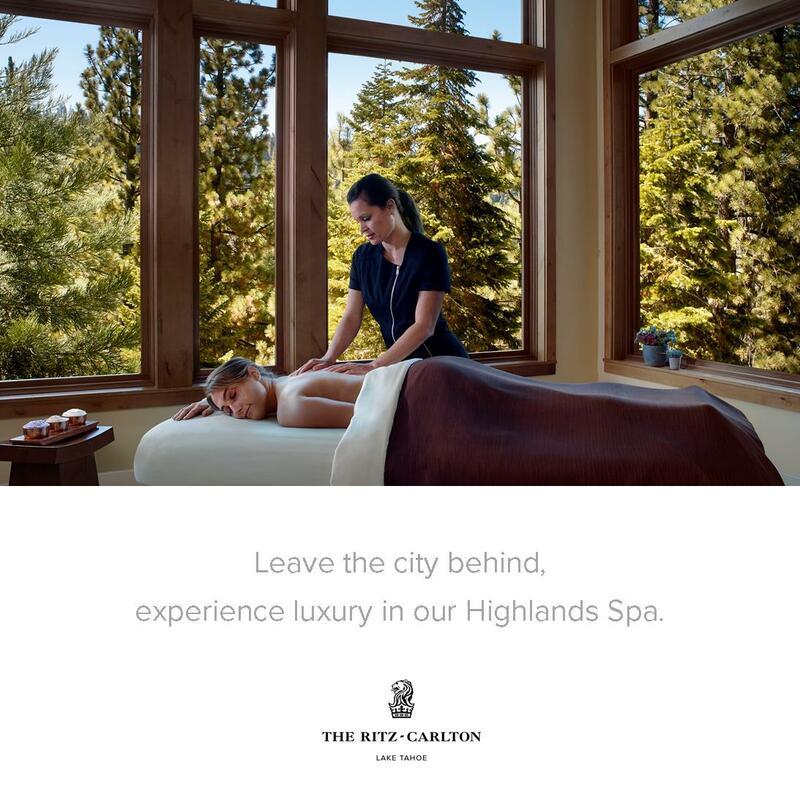 She earned a living by teaching horseback riding in the valley and skiing in the mountains, first at Reno’s Sky Tavern and eventually at Slide Mountain and Mt. Rose. The arrangement allowed indulgence in her outdoor passions of horses and skiing, but also allowed her four children, including McKinney, to tag along. In Nevada, Warfield met her future husband and Tamara’s father, Rigan McKinney, a steeplechase jockey who was inducted into the Racing Hall of Fame in 1968. The McKinneys had three children before moving to a grand eighteenth-century house on a 155-acre farm in Kentucky. There, the couple broke, bred and trained thoroughbred horses. They also had their eighth and last child, Tamara. In the winter months, the family made annual treks out to Northern Nevada and Tahoe so that the children could continue to pursue their passion—ski racing. The first of the eight children to rise to prominence was Sheila McKinney, but a severe head injury at Heavenly in early 1977 ended her promising racing career. Laura McKinney also delved into ski racing, qualifying for World Cup races in the late ’60s and ’70s, but an injury derailed her career as well. When McKinney was a boy, he was terrified of the Mount Rose Highway, perpetually scared the family vehicle would run off the highway and plunge into the valleys. His older sisters teased him relentlessly. A natural athlete, tall, broad and strong, McKinney excelled at sports like football that were conducive to the Kentucky setting. As a young teenager, he contracted rheumatic fever. 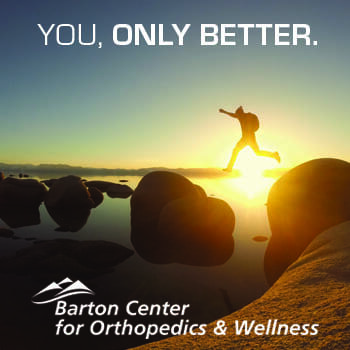 With pain and stiffness in his joints, he was nearly paralyzed for an entire summer. “Doctors told him he would never play sports again,” Tamara says. Rather than mope or wallow in self-pity, McKinney took to books and music, spending long hours reading about spirituality and history and memorizing poems. But Tamara says it was this introspective, spiritual side of her brother that informed his athletic side, and his ability to pursue outrageous goals in the face of enormous danger was due to a quieter spiritual reckoning rather than flagrant exhibitionism or self-promotion that drives many extreme athletes. Dorworth, who was friends with McKinney’s mother through skiing, met the future speed skier when “he was a baby in his bassinet,” Dorworth says. He watched as McKinney, and later Tamara, grew into prodigious competitors. But with McKinney in particular, Dorworth played a role of mentor and friend. 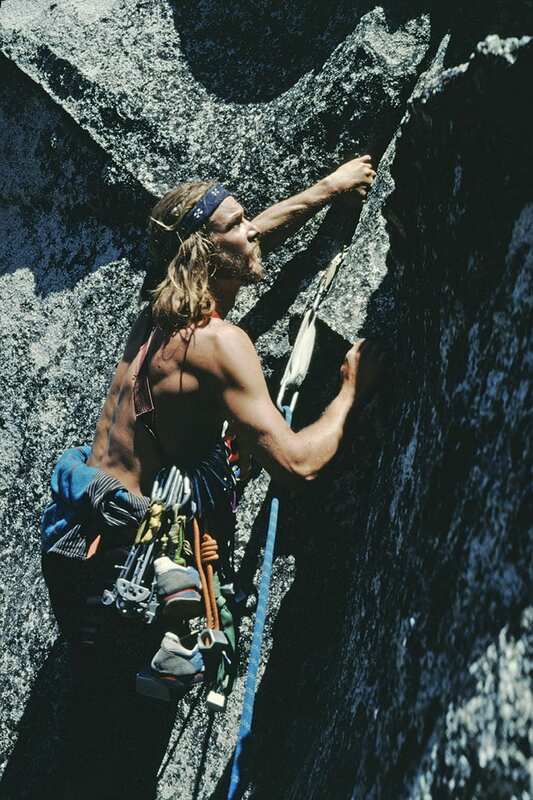 He remembers camping in Yosemite Valley in 1972, climbing big-wall routes and attacking aggressive lines, when McKinney, who was then living in a trailer park in Tahoe City, showed up asking questions about speed skiing. Dorworth was a world-class speed skier in his own right. He wrote a few books on the subject and was the first person to break the 105-mile-per-hour barrier. After talking with Dorworth, McKinney, at almost 20 years old, was convinced he could compete with the best and began making preparations to go to Cervinia the following year to try his hand at the Flying Kilometer. 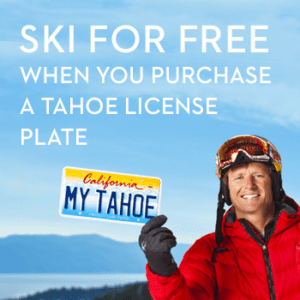 McKinney had already made a name for himself speeding around Squaw Valley, where he and friends such as Paul Buschmann stood out on the slopes in the early era of extreme skiing in Tahoe. However, McKinney’s plans to compete in Cervinia were derailed when he took a nasty 50-foot whipper off a difficult lead climb on Donner Summit that broke his back. He spent much of the following year in a body cast. But while McKinney was laid up, he read voraciously about speed skiing and the various techniques, and kept his eyes on the Flying Kilometer. Despite being hobbled, McKinney traveled to Cervinia, body cast and all, in 1973, according to his longtime friend, Gregory Beck, who shared adventures with him throughout the 1970s and early ’80s. So much so that the following year, after watching the competitors, McKinney showed up confident he could win. The competition thinned out a little after a Japanese skier who was attempting to perfect a technique of speed skiing in which he tucked his head between his legs, looking backwards to reduce his drag, crashed into a timing pole. “This Italian guy was there with his beautiful girlfriend and after that happens, he’s like, ‘That’s it,’ and starts packing up the car,” Beck says. McKinney asked the Italian if he could use his expensive skis for the race, which he reluctantly agreed to. The Europeans didn’t quite know what to make of McKinney and some of his friends, and when McKinney showed up to race, he was almost laughed off the piste. Indeed, the long-haired poet from California not only beat everyone, but set a world record in the process, becoming the first person ever to break 115 miles per hour on skis. “After that, he’s the grandmaster,” says Beck. Not only did McKinney’s profile rise, as he was invited onto sports shows, became the subject of magazine profiles and wrote essays for skiing periodicals, but the discipline of speed skiing garnered national attention as a result. Finding his niche in the world of outdoor sports, McKinney went on to break more records, including the 200-kilometer-per-hour barrier in Portillo, Chile, in 1978. Four years later, he set another world record in Les Arcs, France, when he hit a speed of 201.23 kilometers per hour (125 miles per hour). He set his final world record in 1987 at 209.79 kilometers per hour (130.4 miles per hour). But while the litany of his accomplishments and the brash, charismatic way in which he set about obtaining them are the lynchpin of Dorworth’s case for Hall of Fame induction, it is not nearly the full measure of the man. Dorworth describes McKinney as charisma personified. “He had the physique of a tall Viking warrior, the long blond hair, the good looks of a rock star, the confidence of a king and the personality of a fun-loving sage,” Dorworth wrote in one of his books on skiing and the outdoors. The anecdotes about McKinney are legendary, and proliferate in large part because McKinney himself was such an able raconteur. One of Beck’s passions was hang-gliding, and McKinney took up the adventure sport as well. 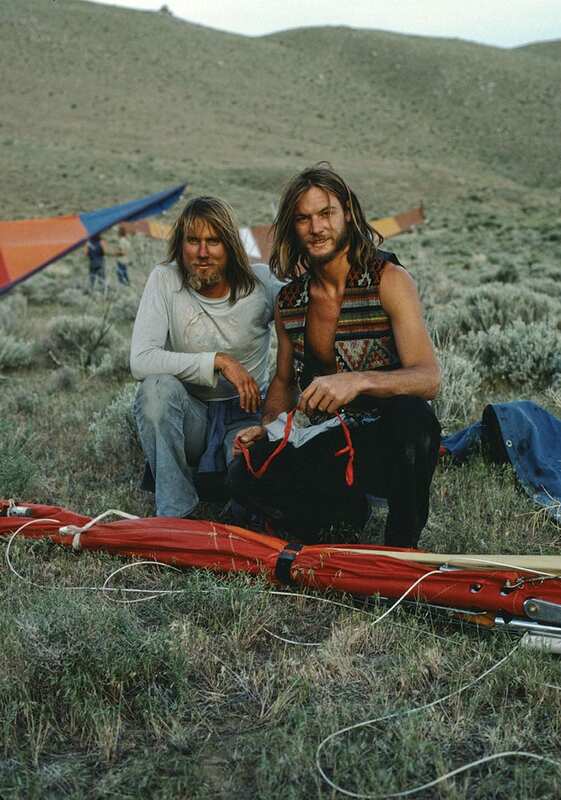 Beck remembers taking him up to Slide Mountain and McKinney launching himself with a newly bought glider. He stalled out almost immediately, plunging 200 feet before righting himself, soaring through the air, stalling out again and crashing into a cloud of dust. “I thought, ‘Oh no, McKinney just killed himself,” Beck says. Dorworth remembers McKinney taking part in a speed-skiing race in Silverton, Colorado, and partaking in a variety of adult beverages and possibly other intoxicants in the immediate aftermath of the race. The great singer-songwriter of Crosby, Stills and Nash became fast friends with McKinney, partying with him into the night and showing up to several more of McKinney’s races throughout his career. At one point in the late ’70s, after McKinney gained fame from his speed-skiing victory in Cervinia, he was invited onto a Wild World of Sports–style television show. McKinney and the other athletes on the show, including Washington Redskins running back John Riggins, were to complete a 5-mile run as part of the competition. 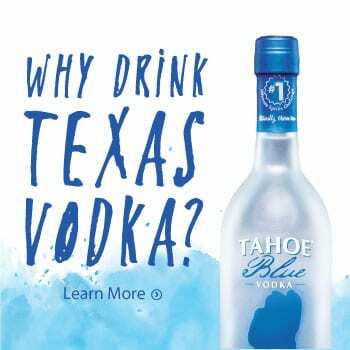 As Beck tells it, as soon as McKinney ran out of the arena, Riggins pulled up beside him, effectively kidnapped him and took him to a nearby bar, where the two spent the day throwing some back. Other stories have grown up out of McKinney’s legend. Tamara talks about how her brother knew someone in the Federal Aviation Administration who had access to a wind tunnel, which helped McKinney develop a bullet-style helmet designed to reduce drag that is still in use today. “He was part of those pioneering times,” she says. 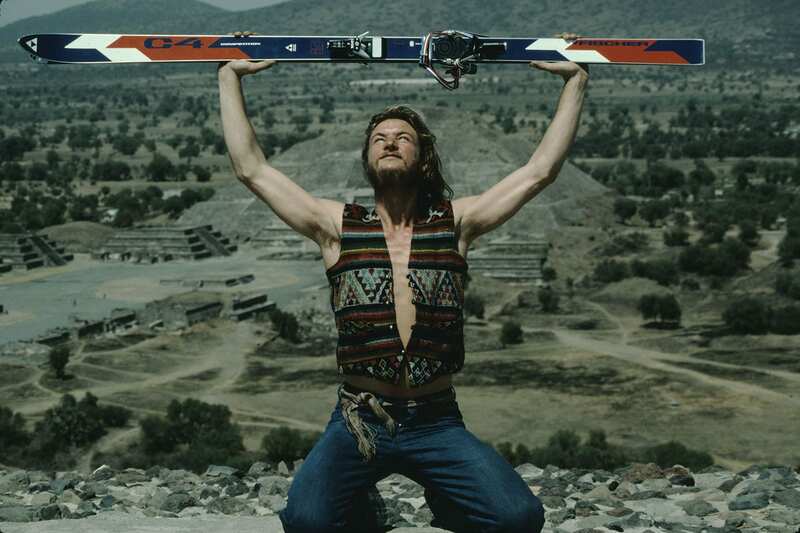 There are also tales that McKinney strapped himself to the tops of cars and had friends drive him at speeds over 100 miles per hour on Interstate 80 near Truckee so he could test his aerodynamic techniques for speed skiing. 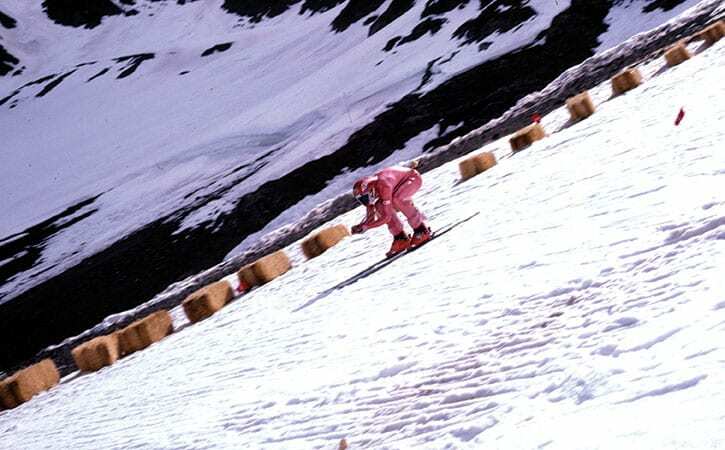 When McKinney went down to Portillo to organize a speed-skiing race, he started palling around with the son of a general in Chilean dictator Augusto Pinochet’s regime. He and his new friend were flying around in a helicopter when the pilot starting hotdogging, hooked one of the landing skids on a cornice and crashed into the mountain, sending McKinney flying through the windshield and nearly ripping off his arm, according to Beck. The general’s henchmen showed up and, before even attending to the injured parties, immediately started confiscating all the film footage of the accident. Beck says he ran into McKinney months later, after he’d recovered partially, and one of his arms was thick as a tree trunk while the other looked like a limp noodle. When the match began, Beck moved to pin him but couldn’t move McKinney’s sickly looking arm. “His strength was far superior to anyone I’ve ever seen,” Beck says. Tamara recounts a tale about how McKinney was part of an expedition in the Himalayas, where he and his group were attempting to become the first American party to summit Everest without the use of oxygen. Their expedition was ultimately unsuccessful, but McKinney noticed a griffon vulture using updrafts and felt that it proved he could hang-glide off Everest, a feat never before attempted. His first attempt resulted in a dramatic crash into a boulder field situated at the bottom of a glacial moraine. But the second time, McKinney used a telemark ski setup and skied off an Everest ridge at 26,000 feet while a Himalayan storm bore down on his perch. Skiing at 130 miles per hour, hang-gliding off the tallest mountain on the planet, breaking his back from a climbing fall and getting into a helicopter crash with the progeny of a South American general: McKinney tempted fate many times in his wild and adventurous life. It was this undaunted approach to danger that made his death feel so anticlimactic, unfair. McKinney had settled down from his hard-partying ways. He got married in the mid ’80s and had a son, Stefan. And while he wanted to continue to adventure and still retained what his sister describes as an “impish sense of humor,” he was done with most of his death-defying acts. Still, he’d planned to be in Bhutan with Dorworth, as the pair had hoped to hike and ski off the seven highest peaks of the seven continents. But as the funds for the journey had fallen through, he was instead in Southern California in November 1990, on his way north to meet Tamara at a fundraiser in San Francisco. A wildfire in Santa Barbara had snarled traffic, and he called his sister to tell her he wasn’t going to make it on time. He diverted over to Interstate 5, probably content to skip San Francisco and just go home, to the mountains, to Tahoe. Around midnight, he pulled over to the side of the road. His car may have had mechanical problems, or possibly he was just tired. Whatever the reason, he was in the backseat sleeping. Fog had rolled in and a driver plowed into McKinney’s vehicle as he slept on the side of the highway. It was the one crash McKinney couldn’t survive. Beck says while McKinney is gone, his legend has only solidified with each passing year, particularly among those who partook in those adventures and saw firsthand his generosity, intellect and bravery. Tamara warns against hagiography, saying her brother was a human being like any other, with faults, shortcomings, personal deficiencies and regrets. But the good far outweighed whatever bad there was. Tamara remembers her brother lifting her up onto the kitchen table in Kentucky and giving her pointers on how to tuck, pointers she used to forward her own career in ski racing, which included 18 World Cup wins and 99 podium finishes throughout her sterling 14-year ski career. Beck and other friends want the world to know, however, that McKinney was more than the records, the daring, the rebel-without-a-cause persona, the strength, the arm wrestling and the flights from the top of the world. He deserves to be remembered just as much for his seriousness, his gravity, his quiet introspection, his voracious reading, his poet’s approach to a skiing career. He found the stillness in speed, the calm in fear, and came out the other side a victor. Then there was the time Mom was schooling her horse at the Washington horse show – the schooling area was this tiny strip behind some tall bleachers where the spectators sat – We were all on the top row so we could watch Mom warm up- then turn and watch her go in the ring- Stevie with his typical sense of humor – grabbed Tamara – then about 7 years old and 60 lbs,, by one of her ankles, flips her upside down and hangs her over the back of the bleachers!! Pretty much stopped all the schooling for a bit – just something that popped into his head at that moment plus it was so much fun to tease Tamara….! A friend of mine named Herman lived two trailers down from Steve at the trailer park in Tahoe City. We installed a hot tub and deck next to his trailer. 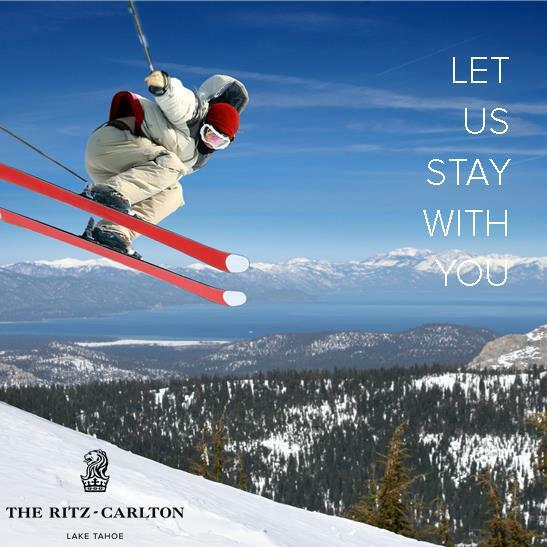 In return he gave me a pair of Tamaras old skis, 185mm Rosignols and the next day took me to Tahoe Ski Bowl and taught me to ski. I asked him ‘how do I stop?” He replied “we stop at the bottom”.